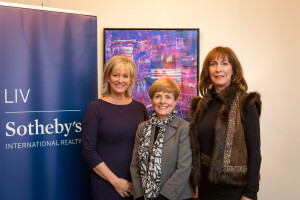 On February 4, 2016, LIV Sotheby’s International Realty brokers, Jane Brennan, Joanne Ernstsen and Michael Ernstsen of The Ernstsen Brennan Team, and Jared Blank and Steve Blank, hosted an exclusive Sotheby’s Special Preview Event, showcasing two luxury NorthCreek Brownstone Residences, while simultaneously featuring the original art of local artist, Mary Lou Blackledge. 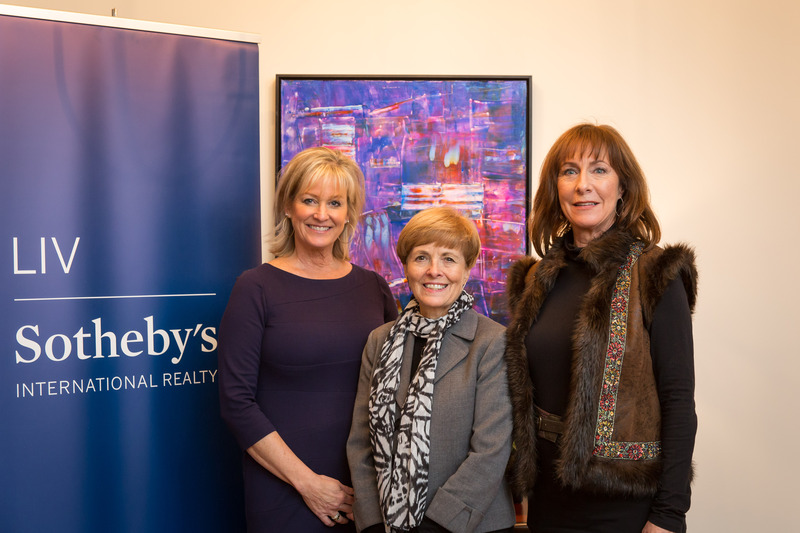 “The evening was an unparalleled opportunity for luxury oriented real estate professionals, the Cherry Creek buyer community, and local fine art aficionados to all come together for a fabulous evening,” said LIV Sotheby’s International Realty broker, Jane Brennan. 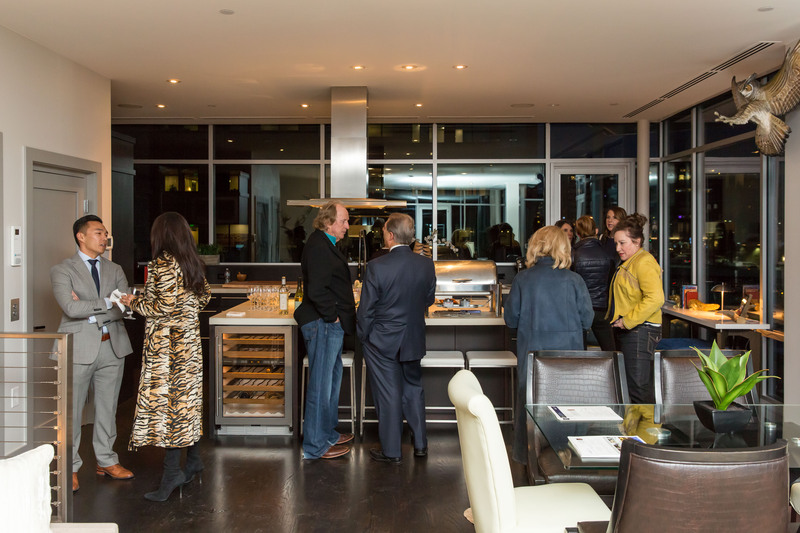 Brokers and guests of the event were invited to preview and tour the excusive residences located at 105 Fillmore St., in the heart of Cherry Creek, while viewing original artwork of famed Colorado artist, Blackledge. NorthCreek has become one of Denver’s most prestigious addresses. Located in the heart of Cherry Creek, perched above the iconic Hermes retailer, this gated community offers impeccable 24/7 concierge service, and a distinguished lifestyle. Within walking distance to Cherry Creek’s best shopping, restaurants and art galleries, the location offers tremendous walkability in a quiet setting, yet, with easy access to Downtown. 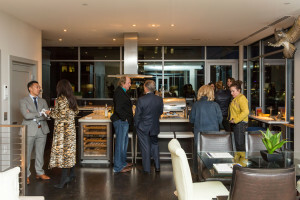 Residence 201, offers opportunities for endless entertaining with the convenience of a premium Cherry Creek address. The 2644 SF end-unit brownstone features floor-to-ceiling glass with stunning mountain views, and a 1245 SF rooftop deck. The unit’s exclusive location, combined with its modern design and spectacular outdoor terrace, make it one of the most attractive and rare offerings currently available in Cherry Creek. The residence, unit 201, is offered at $2,300,000. At the event, guests enjoyed catered fare and sommelier-selected wines while mingling among Blackledge’s fine and colorful works of art. 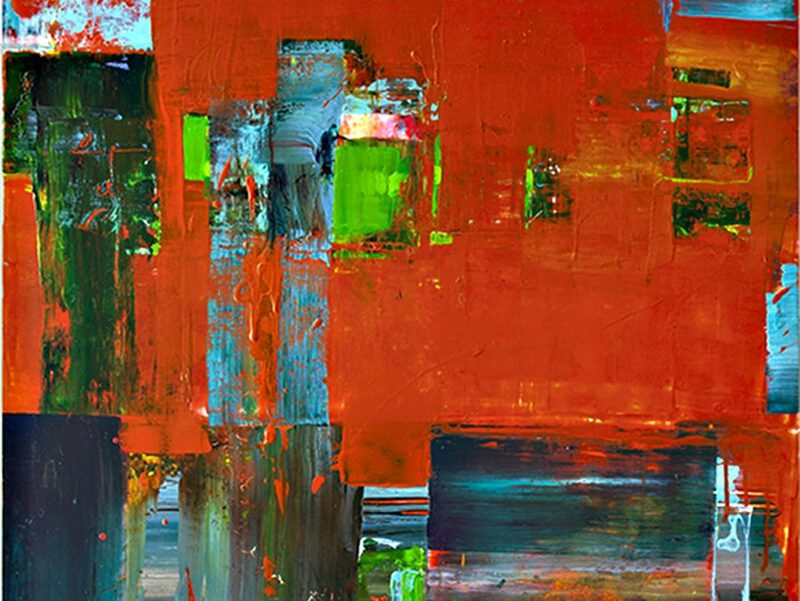 Blackledge’s art showcases colorful and vibrant canvases, rich with abstract color that incorporates free forms and lines. The successful marriage of a property on the market and its ‘just right’ buyer requires imagination and vision. My work is ALL about imagination and vision,” said Blackledge. “Each of my abstract paintings carries within it a story; elements which create a relationship with the viewer and takes them on a voyage of their imagination. This is exactly what happens when a buyer discovers their ‘just right’ home. Their story begins. This is what made the LIV Sotheby’s International Realty event such a dynamic experience.” For more information and to view her portfolio, visit mlblackledge.com. For more information, contact LIV Sotheby’s International Realty brokers, TheErnstsen Brennan Team, at 303.807.0135, or Jared Blank, at 303.521.5025, or Steve Blank, at 303.520.5558. To service all of your real estate needs visit www.livsothebysrealty.com.